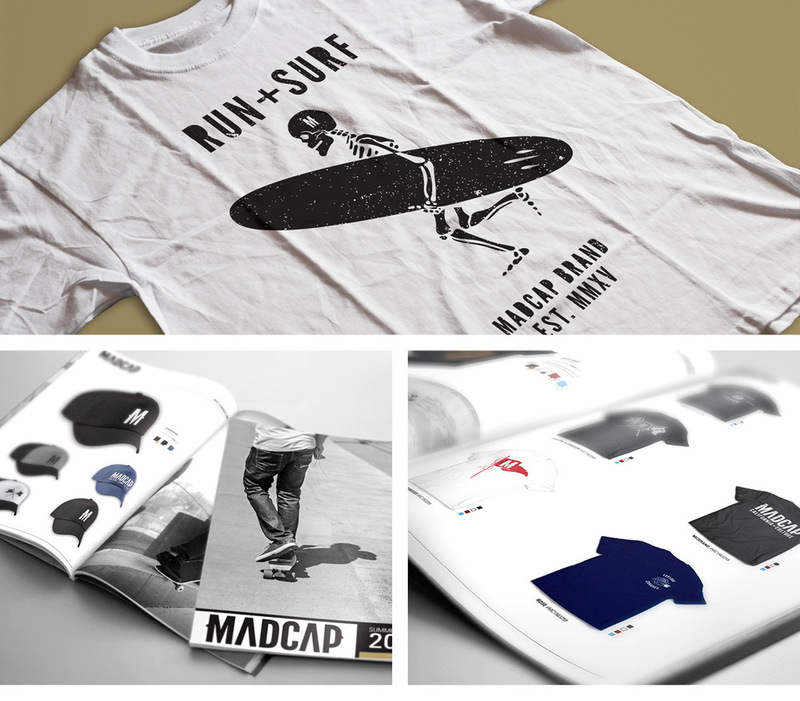 Following in the footsteps of local industry giants like Quicksilver and Hurley, MADCAP is an action sports/ street wear brand that bases its edgy designs on the skateboarding, surfing, and street culture that drives the Southern California clothing industry. The name MADCAP stands for being wild and impulsive, a reflective word of the free-minded, no rules, and adventurous culture found in Southern California. The brand offers dynamic and illustrative t-shirt designs that focus on popular and traditional themes. Additionally, a product catalog and a user interface were developed to further showcase the possibility of brand adaptation in the clothing industry.